Modern Art Oxford is staging Veil, an exhibition devoted to exploring the significance of this most controversial, symbolically loaded item of female dress — an item weighed down with political and religious baggage in western societies, particularly post–September 11. “Debate around the veil is one of the remaining subjects which persistently invokes the tired and clichéd binaries of east/west, black/white, male/female,” says Veil curator Jananne Al-Ani. To western eyes, the veil has come to represent Islamic fervor and/or the oppression of women. Instead, the exhibition rejects such simplistic labels, exploring the veil in its many dimensions, with its contradictory potential for spiritual expression, political subversion and mixed sexual messages. Gillo Pontecorvo’s classic 1965 film, The Battle of Algiers, shows resistance fighters switch between Islamic and French-style dress to further their struggle for independence. In one scene, resistance fighters slip through French security after cutting their hair and changing into sleeveless dresses. 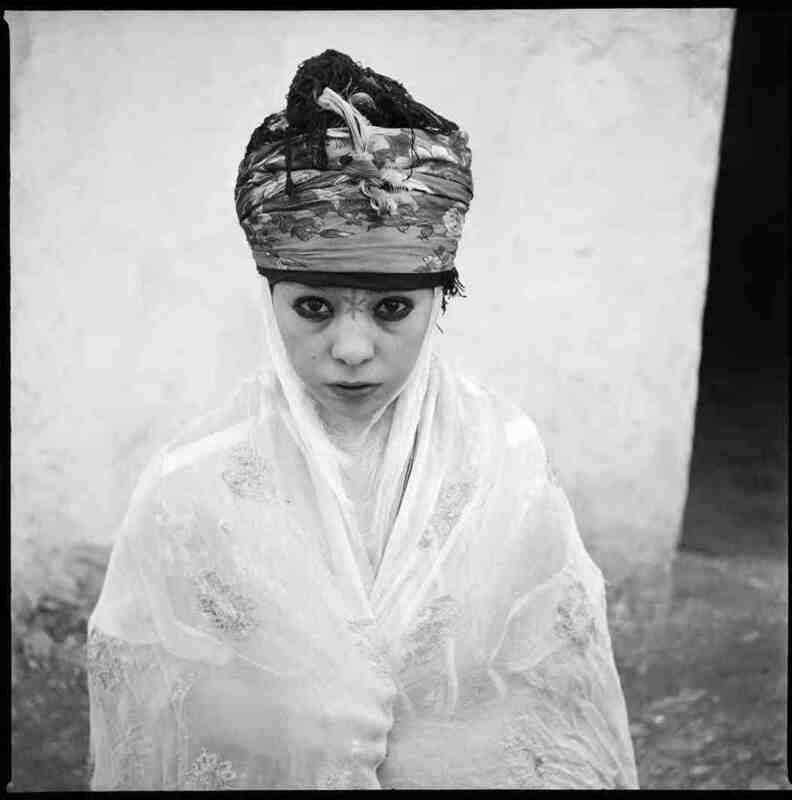 In another, an Algerian woman hides a stolen gun beneath her veil. On the other hand, Majida Khattari’s 2002 video installation, Fashion Show, explores clothing as oppression. Filmed at Paris’s Centre Georges Pompidou, what starts out as a catwalk show ends with models fighting to escape the confines of increasingly tight drapes, to the point where they stumble and even crawl down the runway. Photographer Shirin Neshat explores the failed promise of the Iranian revolution, where women who supported radical Islam ended up constrained and excluded by the regime that they had helped to create. 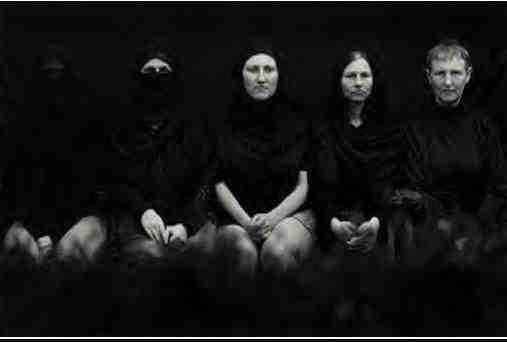 Neshat’s series Women of Allah shows stern, veiled women facing down the barrels of rifles, their faces and feet obscured by intricate webs of calligraphy. 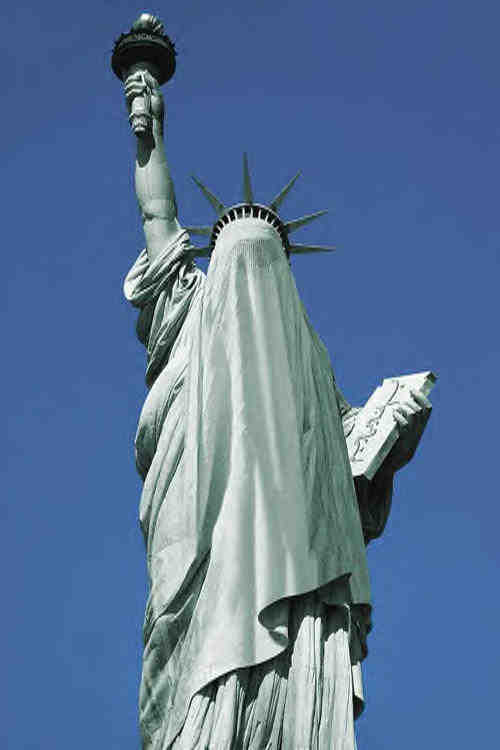 And so, New Freedom 2006 from the 1996 series Witnesses of the Future shows the Statue of Liberty wearing a burqa. Meanwhile, London 2006 shows Britain’s Houses of Parliament topped by green minarets, clusters of bearded merchants in flowing Islamic dress gathering in the streets outside. The two controversial AES images were banned from a previous UK show: immigration remains a highly sensitive issue across Europe today. Iranian photographer Shadafarin Ghadirian recreated a royal studio in her Tehran home, a painter friend reproducing backdrops from the Qajar dynasty. Her 1996 Qajar series shows women dressed in courtly period costumes, staring out from among domestic accoutrements such as step-ladders and piles of clothes, in sharp contrast to the lush pastoral backdrop. Throughout history, the veil has served as a blank canvass on which outsiders have projected their fantasies and preconceived ideas — about women, about Islam and about the orient in general. Colonial artists and photographers clothed their Middle Eastern subjects in clichéd roles: odalisque, harem dancer, white mistress and black slave. French-Algerian artist Zineb Sedira initiated the Veil exhibition, working with fellow artist Jananne Al Ani and writer David A Bailey, on behalf of London’s Institute of International Visual Arts (inIVA). The exhibition is accompanied by a beautifully-illustrated guide, Veiling, Representation and Contemporary Art, written by Bailey and inIVA director Gilane Tawadros, with a narrative on the history and meaning of veiling that brings together exhibited work by artists including Ghada Amer, Emily Jacir, Shadafarin Ghadirian, Ghazel and Mitra Tabrizian. It includes contributions on the meaning of veiling from some of the Middle East’s greatest writers, including Edward Said, Fatima Mernissi and Ahdaf Souief, and from Frantz Fanon. “For women who wear it and artists who represent it, the veil is a garment whose meaning cannot be contained,” explains writer Reina Lewis. 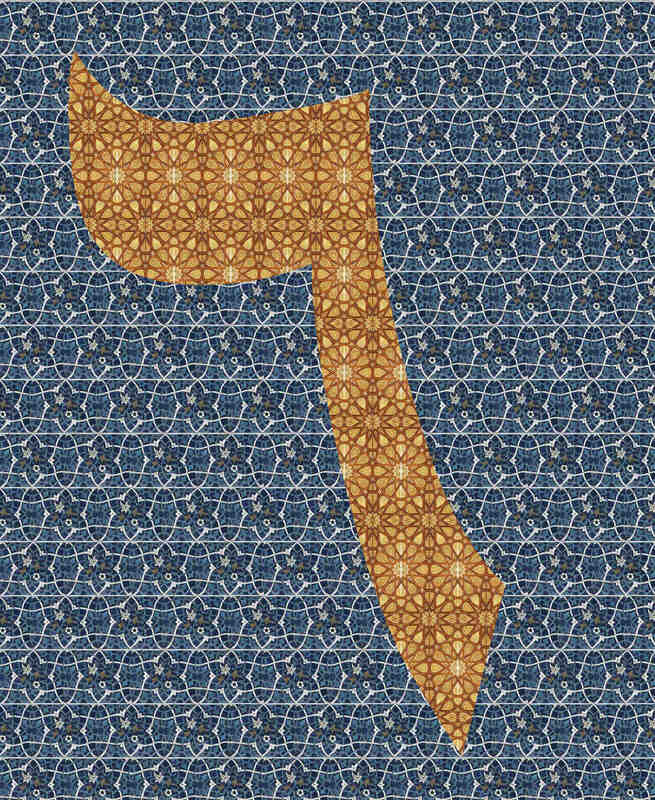 “It is a garment fought over by adherents and opponents, many of whom claim that their understanding of the veil’s significance is the one and true meaning.